Astigmatism occurs in nearly 30% of the non-Asian population. In an eye with astigmatism, the front of the cornea is not equally curved; it is slightly oval in shape, like a football. Light rays entering the eye bend unequally, resulting in a distorted image. 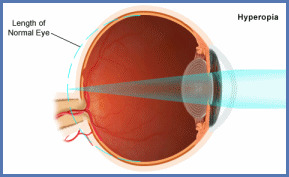 Astigmatism usually occurs in conjunction with myopia (nearsightedness) or hyperopia (farsightedness), and is a complicating factor for refractive surgery. 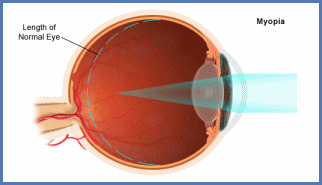 Astigmatism can be corrected with eyeglasses, contact lenses or refractive surgery.